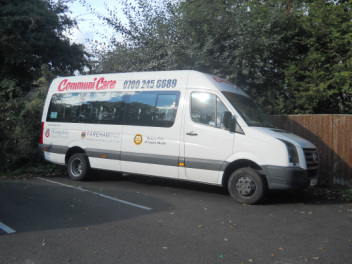 CommuniCare organises and runs a minibus to collect Senior Citizens to go shopping at the Locks Heath Shopping Village, Fareham, Gosport, Hedge End and Whiteley. Friday: Fareham / Gosport / Hedge End / Whiteley (alternates), price: £3.00 per person. Please call 07002 456 689 for further information and to book your seat on the minibus. *All our drivers are fully insured and our minibus drivers have undertaken the Minibus Drivers Awareness Scheme (MiDAS) training with Community Action Fareham.